Some fresh research from the University of Southern California is giving us a bit more evidence for the benefits of music on the development of a child’s brain. The researchers are two years into a five year longitudinal study and are already finding enhanced brain development in areas of the brain used for language development and reading for children involved in music instruction. It is a small study (fewer than 40 students) but began with brain scans to show the starting point of each student in terms of brain function in specific areas. It will be interesting to see if the advantage is the same, less, or greater when the study has reached its five year term. 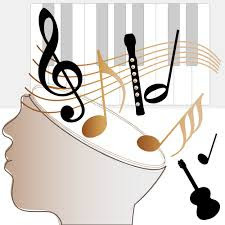 Studies like this do not “prove” that music instruction will make your child a better learner, but it does give us a picture of the connection between how our brains process music and language. Some families have the time and money for music lessons. Other families prefer different activities. You are certainly not damaging your child if you chose to spend money on sports instead of music. However, if you are trying to decide if music lessons are worth it – this research suggests they are. Music is a gift from God and should be practiced and enjoyed simply because it is worth it on its own. This is especially true when we combine music and faith teaching. I remember saying memory work as a child when learning hymns for the Christmas service and feeling the need to sing it rather than say it. Music and language are strongly connected when it comes to memory. The liturgy sung in church, which is often Bible verses set to music, is a weekly reminder of God’s love for us and a beautiful peaceful way to nurture faith. Likewise songs sung in Sunday school, youth group, or in preparation for a performance are providing double the benefit in terms of learning. What music can you add into your week with your children? What could be better than to close the day by singing a song of God's love.? Can you sing easy parts of the liturgy during your family devotions? Or, the next time you are traveling in the car pop in a CD of kids songs familiar to you and sing them with your children. Music is an easy choice, for learning and sharing your faith.